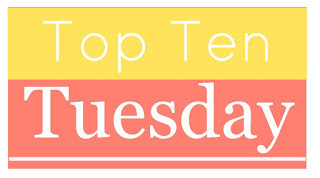 Top Ten Tuesday is an original meme created by The Broke and the Bookish. This week’s theme asks participants to list the authors we keep on auto-buy. As soon as we know there’s a new book coming out, we’re already planning when we’ll read it and requesting the galley or placing a pre-order. Finding favorite books is always a treat, but finding an author who never fails to disappoint is a whole other kind of fun. When a new release hits shelves by these authors, I know I’m going to buy it. Here are my top ten auto-buy authors followed by snippets of some of their book covers. Enjoy! A mysterious narrator gives an account of a young girl who has an unusual vice: she steals books. Death comes for the girl’s brother as she and her mother wait for a train to take them to a foster home where the children will be safe. It is he, the collector of souls, who is the only witness to the girl’s first thievery, and he begins to follow her story.